T-shirts, polo shirts, trousers.. a great selection of clothes created and designed to wear the hottest months of the year. Enjoy the good weather and the long days of summer with Roly's "Casual Summer" collection. A classic. A garment without secrets for Roly that you will find here with different collars, finishes and in all the sizes and colours. Look for the t-shirt you are looking for, we have it. A basic that you can not miss. 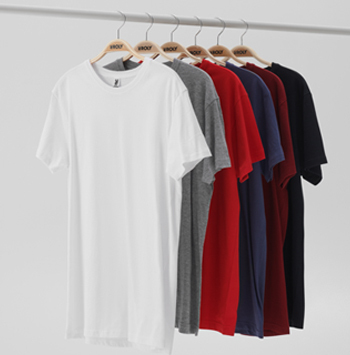 Meet the collection of short sleeve t-shirts or tank tops by Roly and find the one you like. Available in different collars, finishes and in all sizes and colours, they adapt to your body. An essential garment when the good weather arrives. Few garments offer as many possibilities as the short sleeve polo shirt and in Roly we have a wide variety of designs for you.